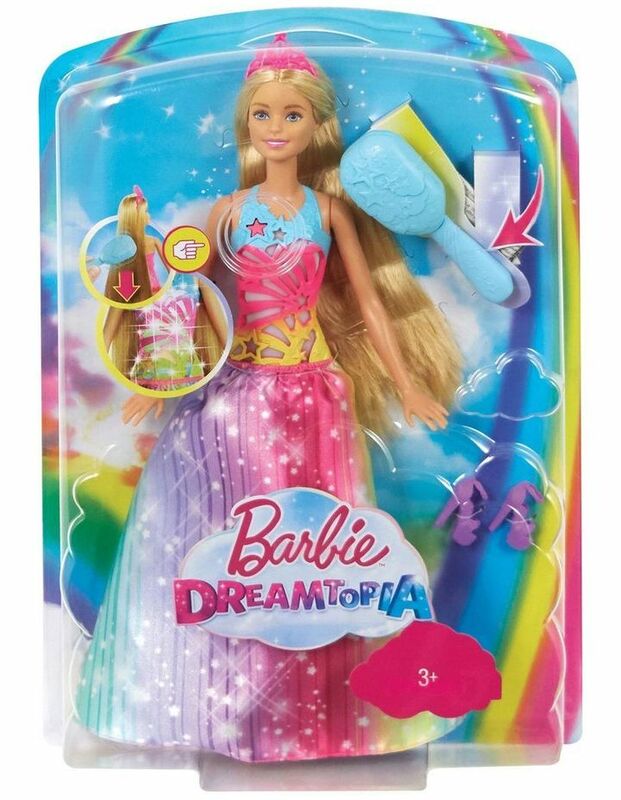 Light up playtime with a magical Barbie doll from Barbie Dreamtopia Rainbow Cove -- her bodice lights up and sound plays when her extra-long hair is brushed! It's a wow moment and so much fun to repeat over and over, especially since there are four different light and sound shows. One of the sound sequences even features the Barbie Dreamtopia theme song. Simply brush each Barbie doll's hair -- it's extra-long for extra fun -- with the included "magical" brush, or press the button on her bodice, to start a show. Young imaginations will be inspired to take this princess doll on great adventures. 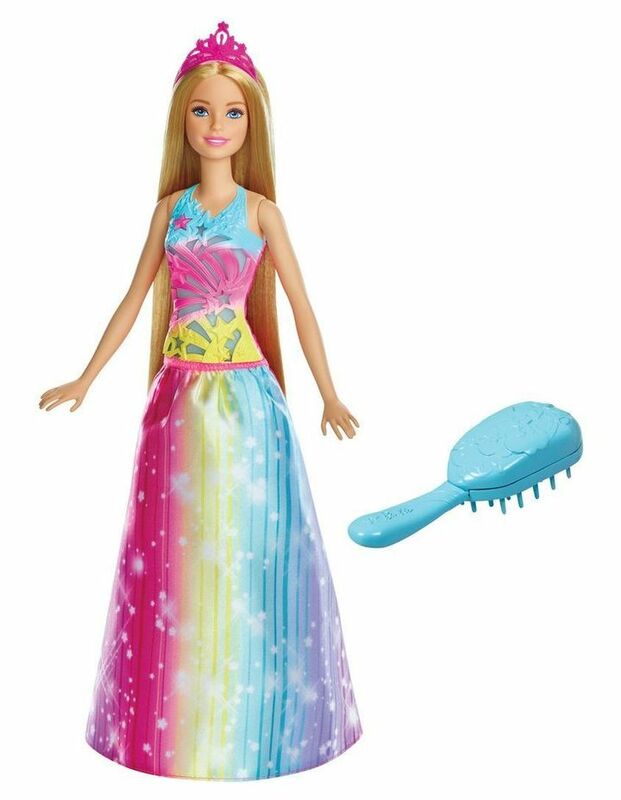 She's ready to explore her land of Rainbow Cove and beyond wearing a brilliant gown: the bodice has rainbow colors and a design that adds to the dazzling light show; the long skirt has rainbow stripes and a starry print. A pink tiara and matching shoes inspire playtime with added storytelling pieces. Fans of the animated series can recreate scenes, fairytale lovers can play out favorite moments and creative minds can tell fantastical stories because when you enter Dreamtopia with sisters Barbie and Chelsea, you wake up to a world where dreams become reality! Includes Barbie doll with lights and sounds wearing fashions and accessories, plus magnetic brush. Doll cannot stand alone. Colours and decorations may vary.